Search Idlewild Estates Public Schools directory Calgary: Research Idlewild Estates Public & Catholic schools Calgary, new Idlewild Estates public & catholic school openings & Idlewild Estates Schools closed on Wednesday, April 24th 12:22am. Moving your family is a challenging time, especially when relocating requires your children to change Calgary schools. Search Idlewild Estates elementary schools, high schools, public schools, churches, community centers. Research Idlewild Estates real estate statistics, real estate agents, REALTORS® & homes for sale in Calgary on April 24, 2019. Currently there are 0 active listings in Idlewild Estates average asking price of $ highest price property $0.00. Currently 0 properties include Attached Homes, Detached Homes, For Sale by Owner, Luxury Homes plus 0 Condos For Sale, Townhomes, Rowhouses, Lake Homes, Bank Foreclosures. "Upbeat and a pleasure to deal ... Working with Mark made the process of home shopping much easier to manage and deal with. He was always quick to act on new listings that were within m... Read More - Natalie. 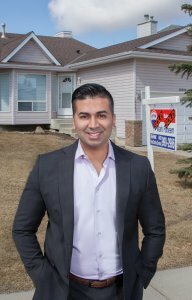 M"
""excellent services" Without a doubt, Mark Faheem is the perfect realtor for any home buyer! He was an absolute pleasure to work with and always went above and beyond in p... Read More - Sabah S."